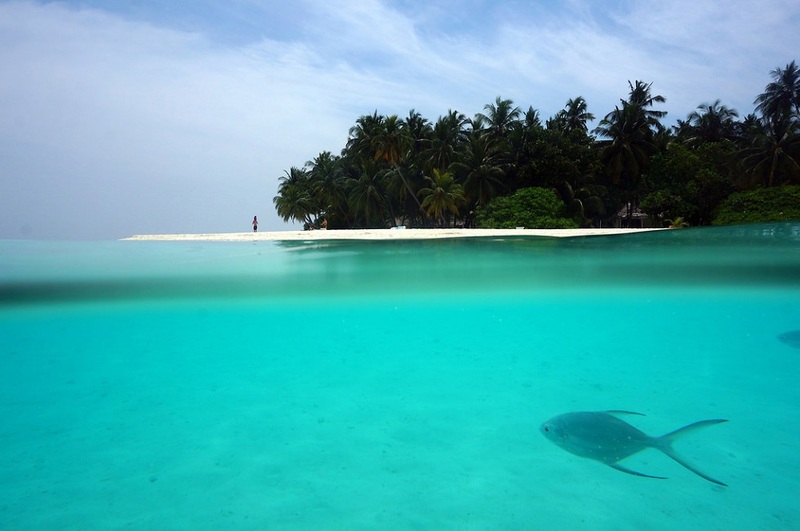 Crystal clear turquoise water awaits you in Maldives, an island nation resting in the heart of the Indian Ocean. From the air, Maldives resembles a broken bracelet: its turquoise beads sprinkled throughout the cobalt sea. Diving here is unmatched, where literally hundreds atolls and coral reefs await your exploration. 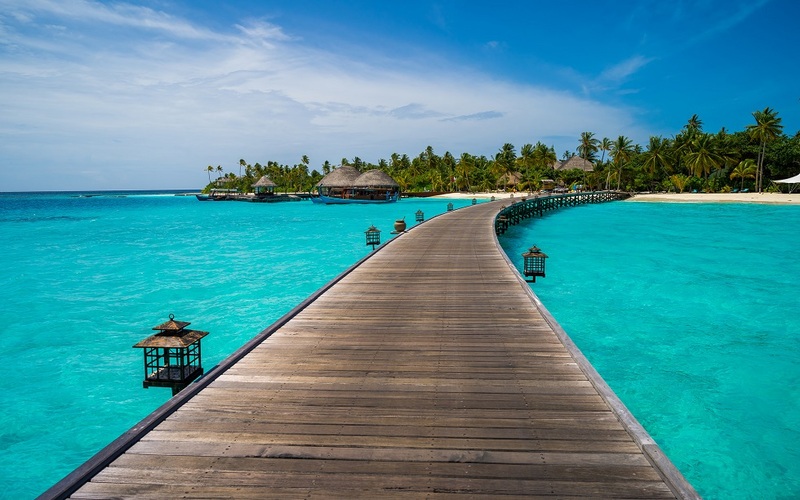 The Maldives are situated about 600 km beneath India, and is comprised of a scattering of beautiful isles. The 1,192 islands that make up Maldives are dispersed across 90,000 km2, spreading the population to incredible distances. 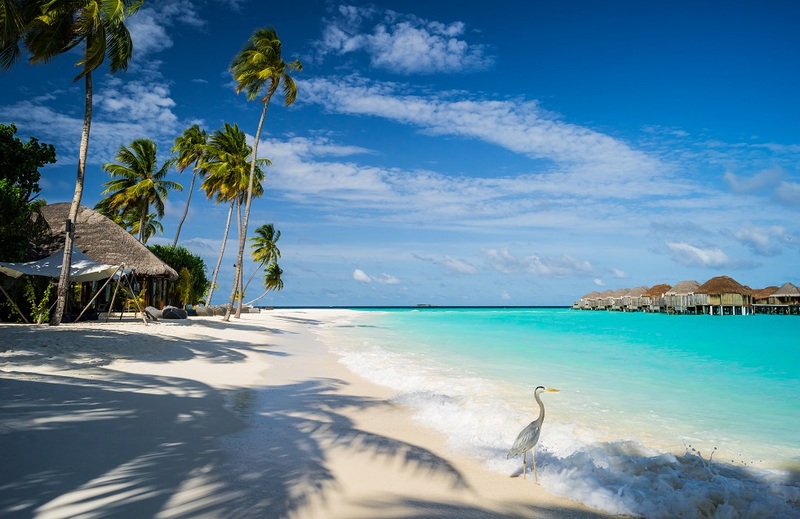 Maldives is the world’s lowest lying nation, with the maximum natural altitude reaching only 2.4 meters above sea level. People have inhabited these idyllic islands since around 300 BC, a society of fishermen. As far back as the sixteenth century, Maldives was in a constant tug of war between colonial powers. Around the world, from Britain to the Netherlands and Portugal, many countries wanted their piece of the pie. It was not until 1965 that Maldives gained their independence. In 2004, a massive tsunami crashed into the islands, destroying infrastructure and ending the lives of many. Today, Maldives is rebuilding, but a variety of political and economic issues continues to plague this beautiful and unique country. Regardless, tourism here is still strong, and dive shops continue to thrive. The diving in Maldives is some of the best in the world. The weather is warm and inviting, and the wildlife is abundant. Expect to see many creatures, both great and small. Beautiful year round, temperatures in the Maldives varies very little. Expect temperatures ranging only from 25 - 33°C. Water temperatures have even less variation, remaining between 26 - 30°C. The rainiest months are May and September – December, totaling around 300 cm of throughout the year. Visibility is excellent throughout the year, and is seldom less than 20 m. Decreased visibility is usually attributed to massive schools of plankton, which is a sure sign of increased wildlife activity, making for incredible dives. For the very best diving, visit from December to May. During this time the winds die down, making for calm, comfortable seas. Nestled near the South Ari Atoll, Broken Rock is a fantastic formation, making for one of the most distinctive dives in the Maldives. Cracked in two, a canyon makes its way through the massive rock, making an excellent place to explore. Massive fan corals wave in the light current, and the reef clinging to the rock flicker with thousands of fish. At Broken Rock you can come across turtles and moray eels, so keep an eye out. A fast moving current makes its way past Lhaviyani Atoll, giving Kuredu Express its apt name. Simply relax and take in the sights as you are transported through the channel past unique rock and coral formations. On your cruise you can expect to see plenty of sharks, tuna, and even manta rays. Found on the Vaavu Atoll, Fotteyo Kandu is one of the most popular and appreciated dives in the Maldives. There are caves to discover, coral reefs to explore, and creatures to encounter. Shoals of snapper and tuna coalesce, here, as well as an abundance of shark species. Keep an eye out for black coral, which is found at significant depth. Head to the southern Maldives to swim with Reef Sharks. There are many channels where sightings are common, but one of the most popular is Gaafu Atoll. The shallow channel here is a natural highway for marine life, and reef sharks are abundant. Reef Sharks are incredible hunters, and watching them in their natural habitat is an unforgettable experience. Some of the best places to encounter Whale Sharks are Gaafu Atoll, Ari Atoll, and Thaa Atoll. Ari Atoll is one of the most reliable places, and many other large creatures make their way through these warm waters. 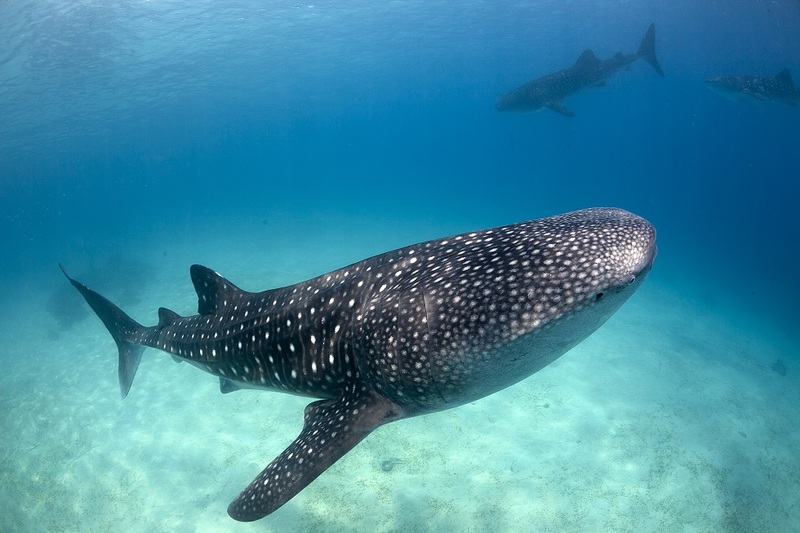 At one time, Whale Sharks only visited the Maldives during the rainy season. Today, because of environmental changes, Whale Sharks can be found throughout the year. For more definitive dates, your best chance for an encounter is May – December in the western Maldives, and December – April in the east. Get a couple of specialty certifications or become a Divemaster in the Maldives’ tropical paradise. With unending opportunities for exploration, spend an extended vacation in Maldives: a scuba diver’s dream come true.